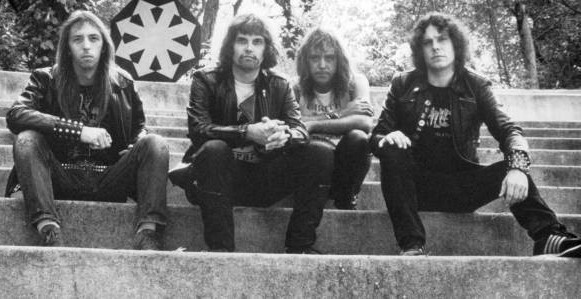 Cirith Ungol and Metal Blade Records are celebrating the first ever Cirith Ungol show to grace European soil with the re-release of the band’s second record ‘King of the Dead’. Not only is this a beautiful remastering of Cirith this Ungol album which originally came to life in 1984, it’s a fantastic record to begin with that is only enhanced with the brand new packaging its now being presented in. Besides the remastered tracks, there is a plethora of new content for Cirith Ungol fans to indulge in and for newcomers to experience more out of this band than a simple record. ‘King of the Dead- Ultimate Edition’ adds on 5 bonus tracks to the already rich record; five additional tracks including four live tracks and an alternative mix of ‘Death of the Sun’. Don’t forget the 8-track live DVD that spans all the way back to 1983 at the Roxy in West Hollywood; not only is this a fantastic repackaging of a great record, it manages to grab hold of you and pull you 33 years into the past with completely engrossing live material. 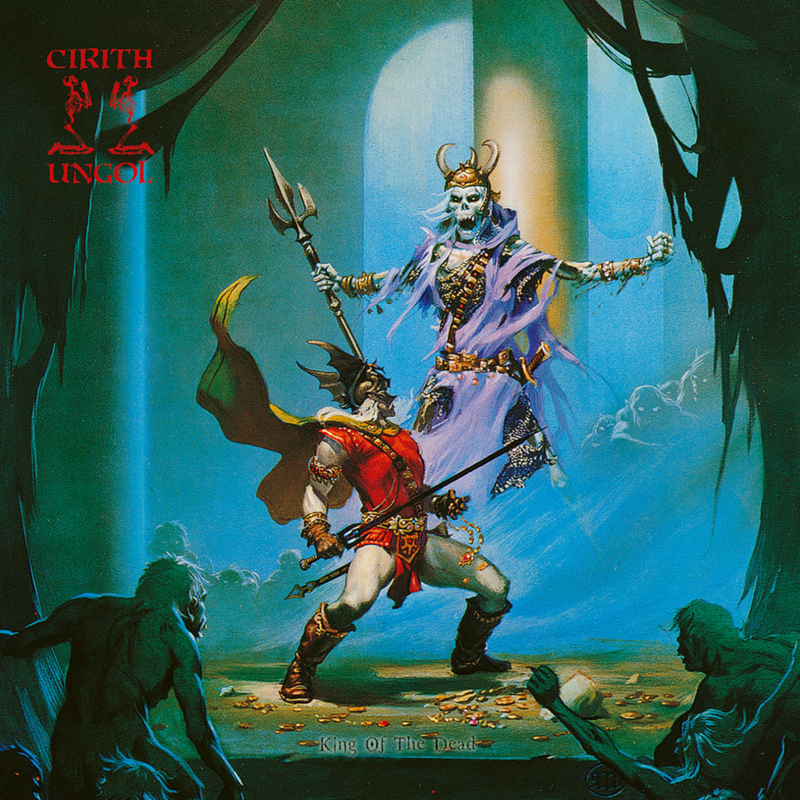 For those who haven’t had the luck of discovering Cirith Ungol, they originated in California whilst adopting an extremely strong affinity for power metal archetypes in their music. Cirith Ungol is very much a band for early Judas Priest lovers; much like the early Priest record ‘British Steel’, Cirith Ungol plays with a less aggressive form of power metal and adopts the Judas Priest method of highly excitable metal without needing focus on “skull-crushing” or “in-your-face” metal aggression. The opening track ‘Atom Smasher’ provides the perfect starting point for what Cirith Ungol introduces with the record ‘King of the Dead’, guitar riffs that take the simplicity and catchiness of punk and apply it to metal to create a record that consistently strikes at the heart of the listener. Cirith Ungol put together a seriously phenomenal record that stands the test of time more than three decades later; in fact that the reissue of ‘King of the Dead’ stands above a good amount of modern metal shows both the state of modern metal and the excellence of Cirith Ungol. From the title track ‘Cirith Ungol’ that embodies the spirit of the band all the way to the live recordings lifted from 1983, there is no shortage of pure excellence within this record. One track that stands out fanastically, aside from the original Cirith Ungol works, is their rendition of ‘Toccata in D minor’. It’s not so much the fantastic application of dual guitars to embolden the already soul-striking piece, but the bass work that truly gives it that grand “church organ” atmosphere. The reissue of ‘King of the Dead’ by Cirith Ungol is a gift to fans of old and new alike. The bonus tracks, alternate mixes and live footage gives more than enough material to entice the Cirith Ungol fan. If this is your first time hearing of this band, don’t worry, after you crack into ‘King of the Dead – Ultimate Edition’ you won’t be able to keep yourself from listening to them for a good while.